does this come with a stylus?..does it support stylus ? Anonymous, 04 Jan 2015I have had this product just over a year and it's stopped charging, tried different plugs and ... moreThank you! Mine stopped charging and I tried holding the two buttons for 20 seconds and it looks like this did the trick! The USB port is Micro-A which is rectangular instead of contoured as the normal micro USB are and as such allows the cable to wiggle within the socket and the socket eventually fails. This device is also sold as EVGA Tegra Note 7 and all information I have found suggests it too has the same issue. This should be classed as a production flaw and repaired under warranty but HP refuses to do it for anyone. I've had Samsung Galaxy 2, 3, & 4, Ematic, Amazon HD, Nook, and Kindle. This HP slate 7 extreme is the tablet I've been truly excited about. I paid under $80 new. Trouble is, it seems to be the only one, period. Should have bought all I could afford. Can't buy a stylus for it at any price, but a #2 pencil works fine. To replace the tablet would cost me more than double what I paid last week. It's crazy. But I do love this tablet. Not at twice the price I paid though. The facing camera isn't top of the line, but I'm not into looking at myself. opop, 12 Mar 2015Got this tablet a year ago..Right now the micro usb charging connector has been damaged. No us... moresame problem here. the worst part is that HP offered no solution. according to them, the problem is not covered by the warranty. Anonymous, 04 Jan 2015I have had this product just over a year and it's stopped charging, tried different plugs and ... moreI think the charger has some static problem. I purchased this tablet few months ago and not charging after a few days of use. I got frustrated. Then I realized that the charger is sensitive to fluctuations in the electric line. I tried to short the plugs with a steal conductor, while connected to the tablet, it got resolved and charging again. But this re-occurs whenever the adapter is pulled out from middle of charging or power went off. i want a tab for internet and reading pdf files mainly nothing eles is that a good tab for this or not ? V Rhakho, 25 Jan 2015Wawww upgradable to Android 4.4.4 kitkat.. really? im still in 4.4.2!!! I have had this product just over a year and it's stopped charging, tried different plugs and cables as suggested but still didn't work. Went into currys and explained the situation they said to hold the power button and volume switch for 20 seconds and it should solve the problem as apparently they get full of static. Went home and did that and it's charged straight away. Did this after purchasing an iPad mini!!!!!!! Incredible tablet,,.., upgrade no available ,.. This device is troublesome to say the least. I am now on my third warranty replacement for this tablet. It continuously fails to charge due to a flimsy mini-usb port. This occurred on all three devices I have been shipped. 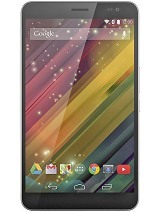 Performance is OK, graphics are adequate, battery life is disappointing, but the charging issue MUST be known to HP. I mean I'm three for three on this failure. HP has been good about replacing the faulty units but three times? Really! regenster, 23 Aug 2014I experience that case once, and I call the HP customer center and main center to fix my fuxki... moreFinally, I sell my tablet, and bought Dell venue 8pro. to be honest, extreme is good in performance, but the quality, fuxking AS policy, poor display, poor battery life should be fixed. I am now about to return my second Slate 7 Extreme to HP as again the mini-usb has failed. Unit will not charge. Both tablets failed in this manner in about two months of average use. I guess HP feels they can just replace this thing every couple of months and I'll be happy. I am NOT. This has to be a known flaw in the design of this device. They should replace with another model of equal or greater value. I would not buy one of these! Does not have a local service center. Don't buy if youre in Singapore!!! Bought one for my daughter last july. Was dropped a couple of times but functioned alright. 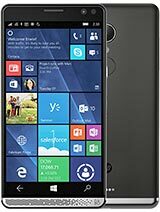 Just last month, charging does not work so asked HP support for help. They wont replace it because of damage in case and they wont repair it either because the damage has voided warranty. I can't have it repaired either because they dont have a repair/service here locally. Just avoid the stress and dont buy this one. Go for more stable brands. Alex, I understand your concen regarding the repair. Unfortunately, there is no repair center. Note: Please do not delete the reference number, when replying back to this email. Thank you for choosing HP. Have a nice day! PatB, 27 Jun 2014I have mounted an SD card on the device but I can't move any data from the tablet to the card.... moreYou have to download app first. Go to google and download app. Also google how to and they will tell you. AnonD-275731, 13 Jul 2014Further to my previous post (two posts down) my experience has gotten worse. Updated to Kit... moreI experience that case once, and I call the HP customer center and main center to fix my fuxking tablet.yeah, it's fixed for free. if The AS center will reguest you to purchase 70%, you should bother the HP and you make it for free. 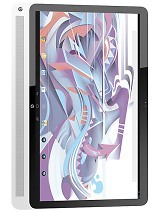 Total of 56 user reviews and opinions for HP Slate7 Extreme.